Still my favourite design and continues to be a best seller! My husband, Bill charted the map for me, based on an antique paper map complete with sea monsters! 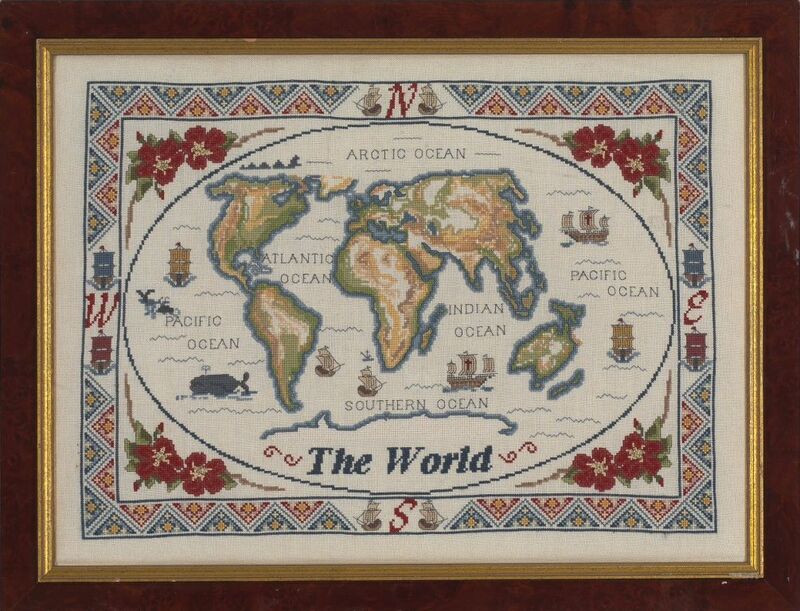 The design is worked in pure cross stitch with a few fractional stitches around the coastline. You can work this on linen or Aida fabric.